I ran across a great visual for the shift in unemployment rates across the US. 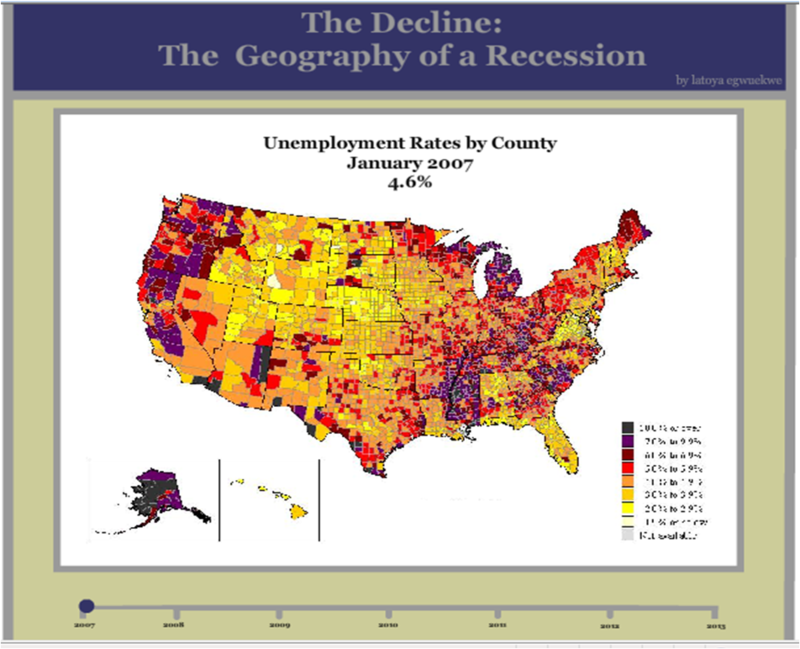 It captures January of 2007 through August 2010 by geographic region and percent unemployment. 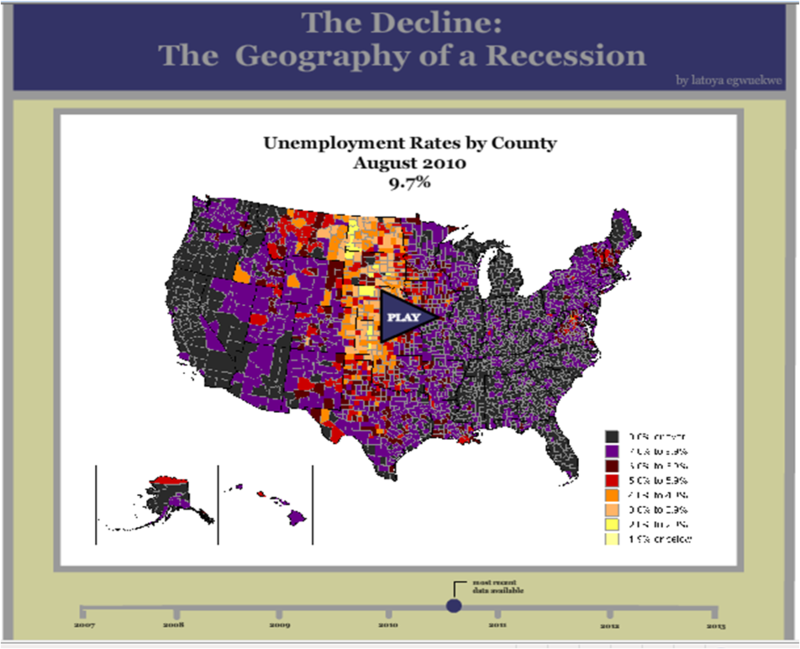 If you click ‘play’ you see the shift in unemployment throughout that time period. Below are some before and after recession screen shots taken from the site.